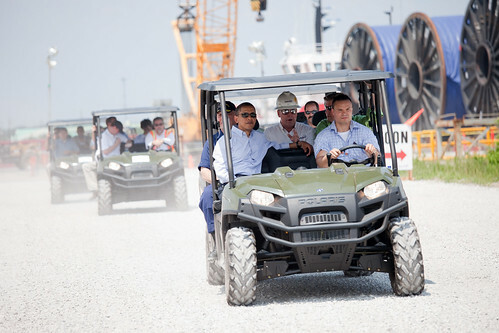 Original caption: "President Barack Obama and other officials tour the Theodore Staging Facility in Theodore, Ala., June 14, 2010, where oil containment boom and other equipment is cleaned, decontaminated, and repaired. This was the President's fourth trip to the Gulf Coast to assess the ongoing response to the BP oil spill in the Gulf of Mexico. (Official White House Photo by Pete Souza)"
Today's Kitsch Cover is Avril Lavigne covering Joan Jett and the Blackhearts "Bad Reputation"